Last week in K-pop was filled with Holiday Specials and Christmas cheer, but were they entertaining enough to make my list of 5 Things? Keep reading to find out if K-pop Santa provided some quality entertainment last week or if I think the Grinch stole our K-pop Christmas. 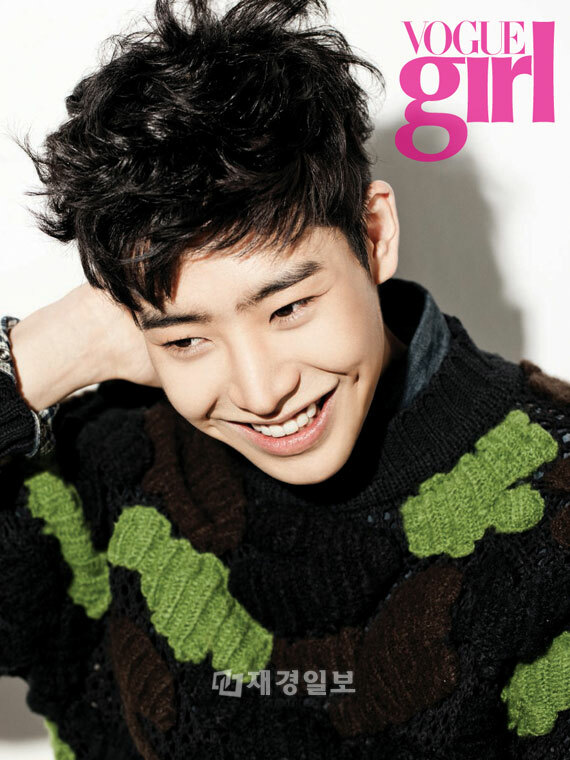 Rookie actor Park Min-woo, better known to most of us as the endearing tough guy Kim Ba-wool in Flower Boy Ramyun Shop, just appeared in a photo spread for VOGUE girl. Love his dimples in this pic. There was a great ending to Flower Boy Ramyun Shop with Eun-bi getting her groove back and being the heroine instead of the damsel in distress. It was an entertaining drama, not perfect, but everything just kind of fit and although Jung Il-woo and made the show and Lee Ki-woo stole the show–Park Min-woo was also a big part of the show’s success. He has a bright future ahead of him with the new exposure, another spread in ELLE girl, and his next project lined up in the KBS 2TV sitcom I Need a Fairy. 4. Santa Baby, SNSD style. SNSD broadcast their SNSD’s Christmas Fairy Tale last week. It was an enjoyable show showcasing the girls’ individual talents and Christmas cheer including a performance for some well deserving soldiers. I liked SNSD’s rendition of “Santa Baby,” what added to the fun of the performance was the reactions of all the oppas in the audience. But I LOVED the duet by Jessica and SHINee‘s Onew, check it out. I’m tuning in every week to K-pop Star because each week I’m awed by the talent out there. This week they were reevaluating the individuals that made it through the first round and then ranked them within their category. Here’s my fave performance by the one of the singer/guitarists and he came in third. And this young girl has got a future in K-pop, whether she wins or not. 2. Henry and Amber, why aren’t we seeing more of them? The staff of Seoulbeats were circulating this clip last week and Gil decided to write about it more in depth, really SM why aren’t we seeing more of these two talented idols? This definitely made my Christmas bright. 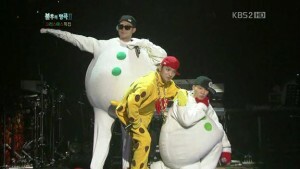 Immortal Song Christmas Special + Simon D and Dynamic Duo + Snowmen and a spotted reindeer = DAEBAK.